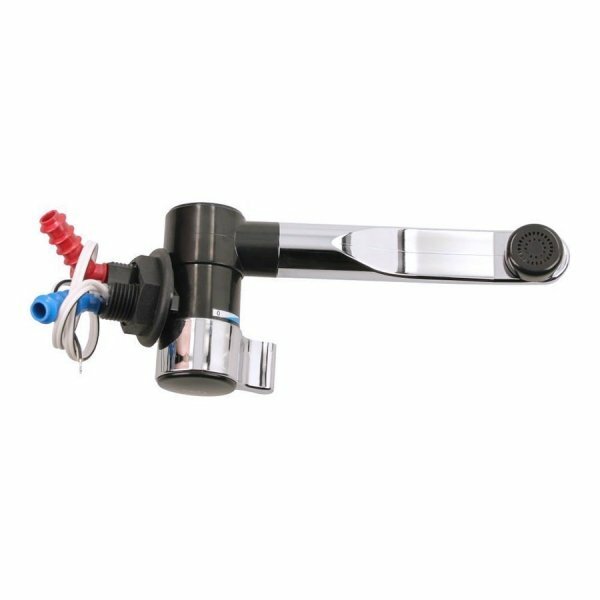 Comet London single leaver hot and cold tap in chrome effect and black which is ideal for basin or smaller washrooms in your VW T5, T6, motorhome or caravan. This micro-switched tap has a vertically swivelling spout and a jet / spray outlet. Requires 10mm or 12mm flexi hose. We also sell the Comet London cold only tap, please see our other products for more details.